YouTube is one of the most massive search engines after Google and hours of footage uploaded to the platform every minute. Marketing the business on this video site is not easy. YouTube marketing, however, is becoming an essential strategy because business owners, offline and internet marketers want to take advantage of internet shifting towards video. High-quality content is required to get success in internet marketing. YouTube is the place to upload videos, presentations and customer testimonials. The platform is more significant than Bing, Yahoo, and others. It gets about three billion searches per month. Studies reveal that one of the every two internet users accesses video on YouTube. It also said that six billion hours of video are watched on this platform every month. Thus to take advantage of the popularity of the platform, this should include in the marketing strategy of every business that wants its presence online. The process of initiating marketing on YouTube includes three steps. These are – setting up a platform, producing content and YouTube SEO and marketing. Plan carefully for building the platform. Marketers should have a robust strategy for YouTube marketing. Identifying the goals is essential for any video marketing strategy. It is necessary to define what you achieve with YouTube marketing. 55% of people watch more than one hour YouTube Videos every day. The purposes can be different for different people. It could be to drive traffic to a website, increase views, boost sales, etc. without goals it is not possible to know where to go. The goals should be reasonable, measurable and time sensitive. Identifying the audience is another important thing for the marketing campaign. Find who your audience is and why and where they are. Different kinds of videos can produce for YouTube marketing. Promotional videos are for advertising and marketing the brand. Promotional videos should arouse curiosity, add value and should include a call to action. Interview videos are another essential type of videos for YouTube marketing. Interviews with CEOs, employees, industry experts work well for the channel. How to or product tutorial videos are very popular and are perfect for brands to explain about their products and tell the prospective customers how their product add value to their lives. Presentations or product launches help to engage the audience. User-generated content also can engage the audience. These are also very useful to increase sales as prospective customers believe what the existing users are feeling about the product and this can influence the buying decisions. It is not enough to produce high-quality content for marketing and sits back and wait for it to become viral. Some SEO tips should be followed to make it rank higher in search engines and bring viewers to the video and the YouTube channel. Video file name and the title of the video should be the same. Use keywords in the title and also in the description. Use right tags and choose the proper category when uploading. 6 Billion hours of Videos are watched every Month on YouTube. Use relevant keywords in the video title. Write description with essential keywords in the first sentences to help the search engines find what is there in the videos. Create your channel to promote your business. Have social profiles and make videos shareable to reach to broader audience. Brands and businesses irrespective of their size can use YouTube for Growing their business online. Here are some tips on how to use YouTube for business. YouTube Live Video View rate has rises to 80% . Do some research and find who your competitors are in your niche and what they are doing on YouTube, what is working for them. Do not merely copy their content but get ideas on how to create your content to be unique. Create a brand YouTube channel. Give a name to the circuit that reminds your brand to the audience. Use a channel art relevant to your brand. Provide information about your company in the about US section. Have a video that introduces your business on the home page. Ensure that the videos you upload to the channel are of high quality. High-quality videos are given priority and are ranked high in search results. Focus not only on video but also on audio. Post content regularly. Create an uploading schedule and stick to it. Do not disappoint the followers who come to your channel to watch the new video at the scheduled time. Use analytics to see what is working for your channel and what is not. There are different analytic tools to measure the performance. Make use of them. 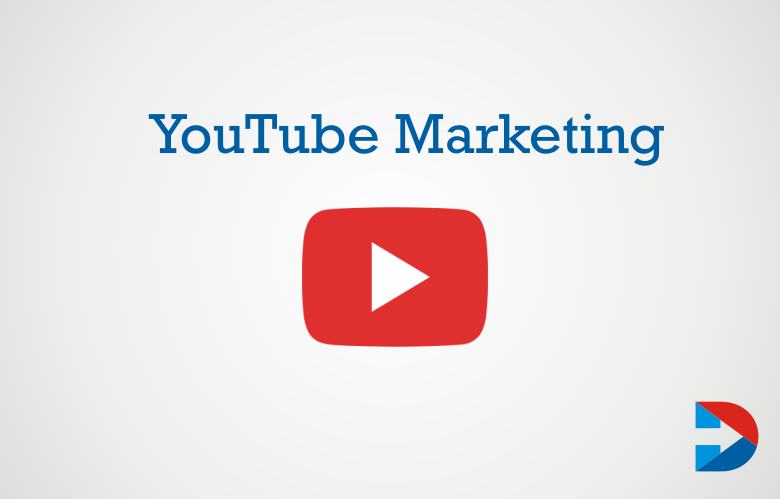 48% of marketers are planning to add YouTube to their Content marketing strategy. Add subtitles to reach the wider audience. It is essential because people watch videos when in public with the sound turned off. So they may not know what is there in the video. Having subtitles help them to understand. An efficient way to get more subscribers to the channel and to get your content shared is to collaborate with other successful marketers in your niche. Video marketing with YouTube may be cost-effective but is not very cheap and not accessible. But it is very active and powerfully delivers the message to the right people at the right time. Planning well and continuously analyzing the performance are essential to get the maximum benefits from YouTube marketing. What is Catfishing in Social Media?